I recently switched to the Narrative Lectionary. One of the many reasons, I like the narrative lectionary is that I find myself preaching texts that I would usually not choose to preach. The book of Psalms is one of them. However, I found Walter Brueggemann’s The Message of the Psalms very helpful in giving meaning and a flow to the Psalms. 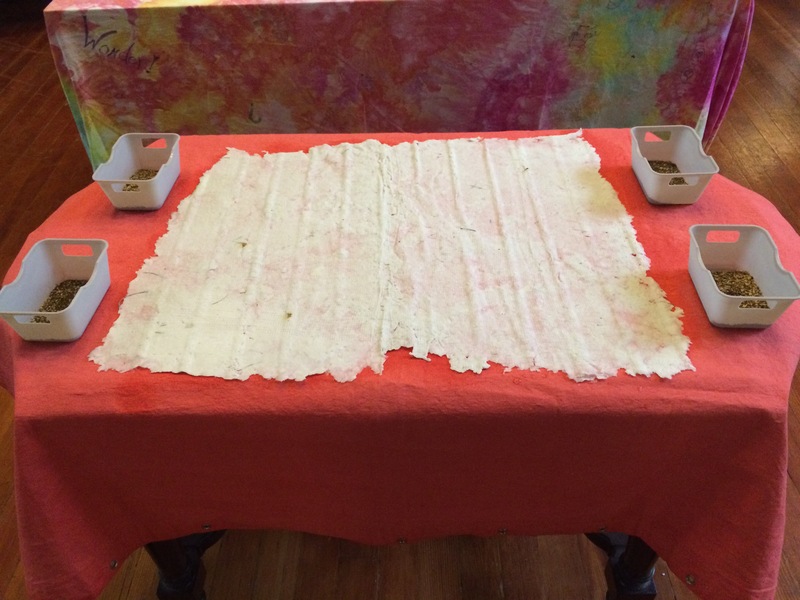 Along with preaching on the Psalms, I invited worshippers to participate in making paper as a way to illustrate meaning and reflect on the message. I had never done this before so I added some thoughts on what I would have done differently. They are like a tree replanted by streams of water, which bears fruit at just the right time and whose leaves don’t fade. Psalm 1 is a Psalm of praise. Reflecting on the comparison that those who follow the Lord’s instructions are like trees with strong roots, worshipers placed a strip of paper symbolizing the tree and placed it in the baptismal water. We are reminded that God loves us just as we are and therefore God is worthy of our praise. 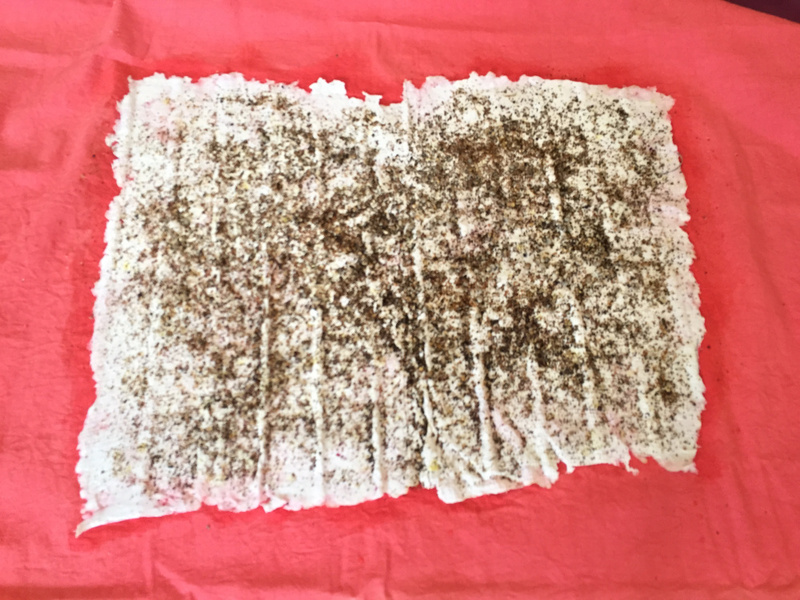 I took the wet strips of paper and turned it into pulp using my hand mixer. 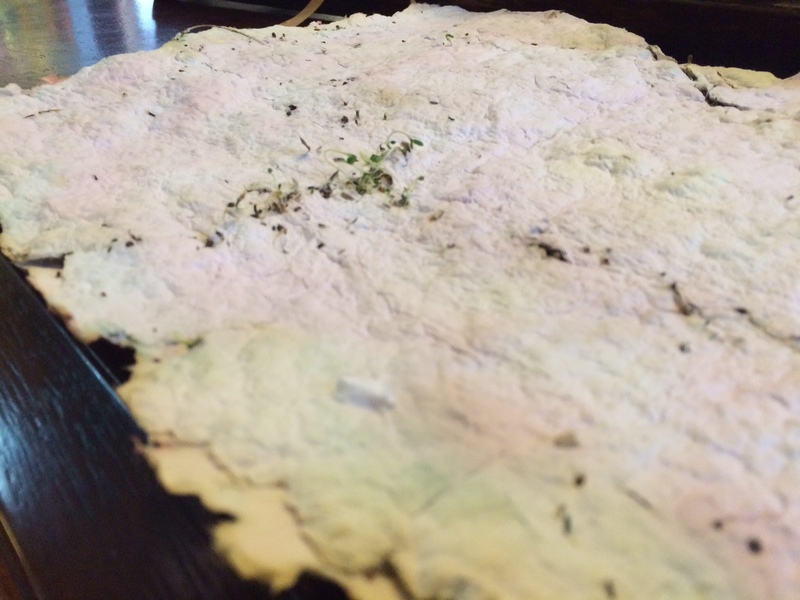 The soaked paper strips were pulped and turned into a collective piece of paper by using a homemade deckle. I made a huge deckle out of an old piece of frame and screen, but it would be much easier to use a small deckle and piece together the smaller pieces of wet paper together than make one collective large piece. God lifts up the poor from the dirt and raises up the needy from the garbage pile to seat them with leaders with the leaders of his own people! Psalm 113 is another Psalm of praise. God is worthy of praise because God gives us strength to endure. The very name of God calls into question the practices of people toward those who suffer. Therefore to praise God is not simply to shout “Hallelujah,” but to participate in the very nature of God’s name. Worshipers grabbed a pinch-ful of seeds and sprinkled them on the paper as a sign that as our faith journey and relationship with God blossoms and grows so will our insight and discernment into the meaning of God’s name as well as our own names blossom and grow as well. I chose wildflower seeds. 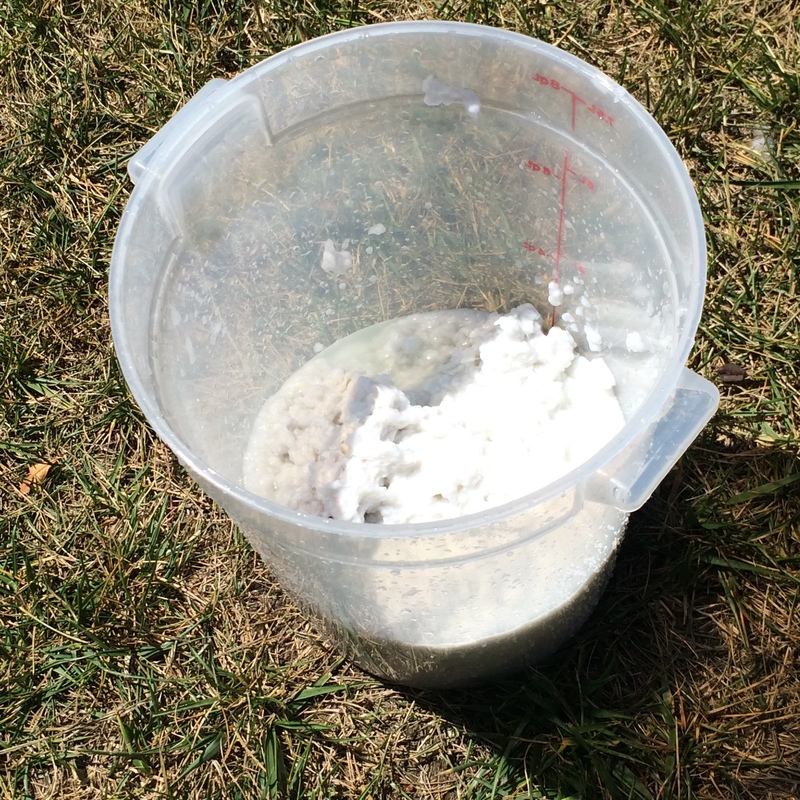 Wildflower seeds do not need to be deeply planted into the soil, but can be pressed or scattered. Therefore they are easy to plant. Save me, God, because the waters have reached my neck! I have sunk into deep mud. My feet can’t touch the bottom! Psalm 69 is a Psalm of Lament. Psalms of Lament are not the easiest to preach, but it is an opportunity to name the realities of our life and our world. The color purple is the season of Lent where we reflect on deep challenges and pain we experience. 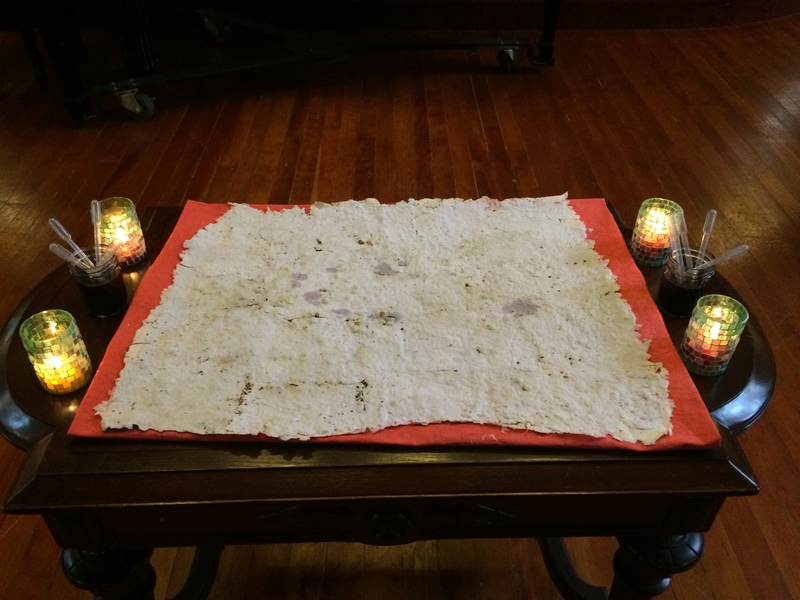 Worshipers colored the seeded paper purple as our prayer of lament for ourselves, others, and the world. With a week passing by between each stage of the paper making, I had to creatively adjust the process. 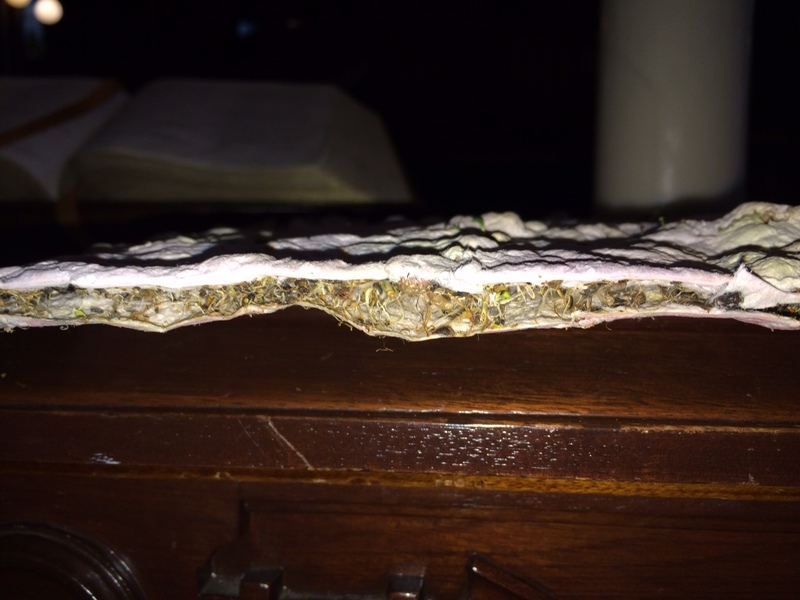 I ended up adding additional wet pulp on top of the seeded paper. Another way to go is to have worshipers add seeds to the wet pulp and then use the deckle to make the paper. That way the seed is mixed and embedded into a single layer of paper. I used purple food coloring mixed in water. Worshippers colored the paper using pipettes. Hope in the Lord! Be strong! Let your heart take courage! Hope in the Lord! Out of Psalms of lament, we reorient to Psalms of trust with a deeper sense of hope and faith. 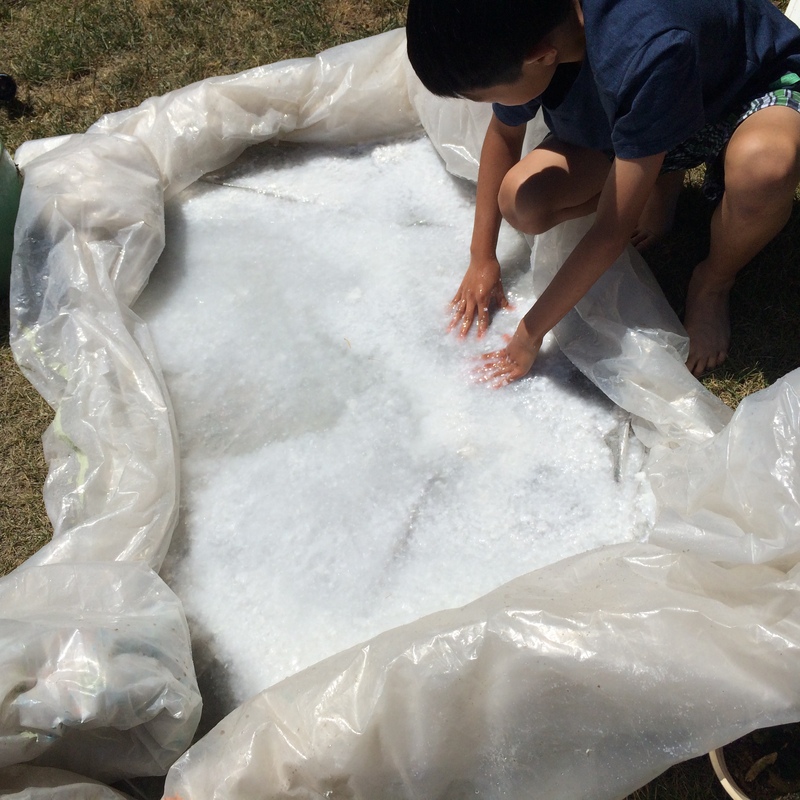 Over the next week, seeds soaked up the purple water and began to take root. Worshipers saw how the seeds took root and began to sprout in the midst of their praise and lament and their prayers. Likewise, our faith roots and sprouts with hope that God hears and answers our prayers. 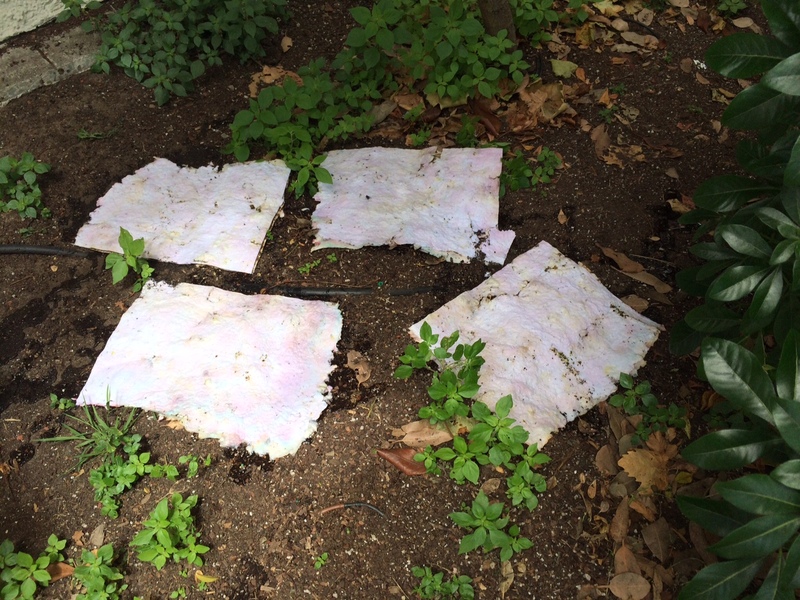 The paper was then planted in the garden of the church to continue to root, blossom, and grow. 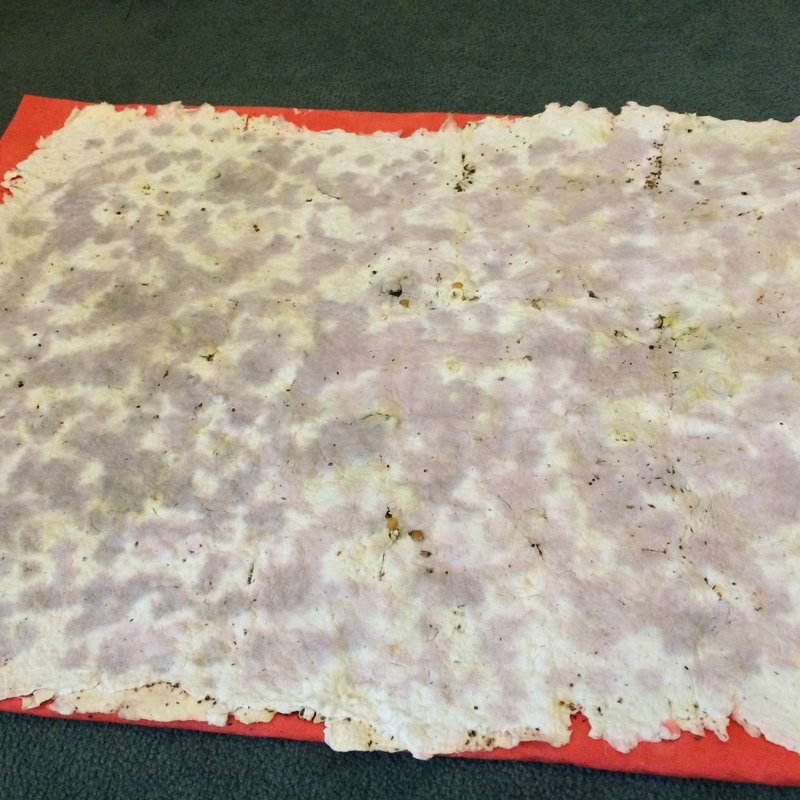 Another way to do this is to dry out the seeded paper and cut them into squares or strips. Give each worshiper a square to plant at their own home to watch it blossom and grow. Wow! Loved this! You have a wonderful gift of creativity! Thanks for sharing it. Thanks Jody. It was fun to try and experiment. Never done it before.